The Down Syndrome Program in the Developmental Medicine Center at Boston Children's Hospital offers multidisciplinary clinical evaluations for people with Down syndrome from birth until the age of 18. 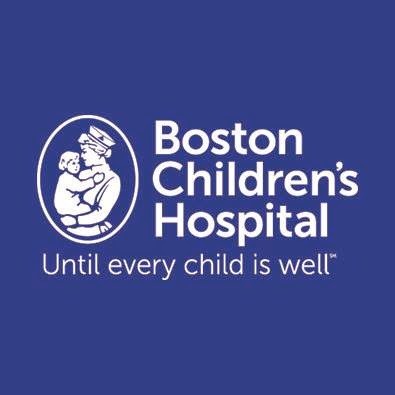 With each appointment, we are also able to make referrals and connections with any of the other specialty clinics at Boston Children's. 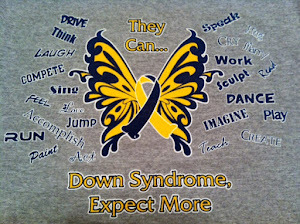 The Down Syndrome Program is more than a clinic, however. We strive to provide resources, advocacy, and supports to all families, depending on their individual needs. Vision: All individuals with Down syndrome are physically and emotionally healthy, engaged at their highest capacity in school or vocation, have meaningful family and social relationships, and are valued members of their communities. Mission: To partner with families, interdisciplinary providers, and researchers to evaluate, treat, and investigate medical, cognitive, neurodevelopmental, educational, mental health, behavioral and social needs of individuals with Down syndrome from the time of diagnosis until transition to adult care. If shoe wedges have been recommended for your child, but you can not find a local shoe cobbler, then this may help you. 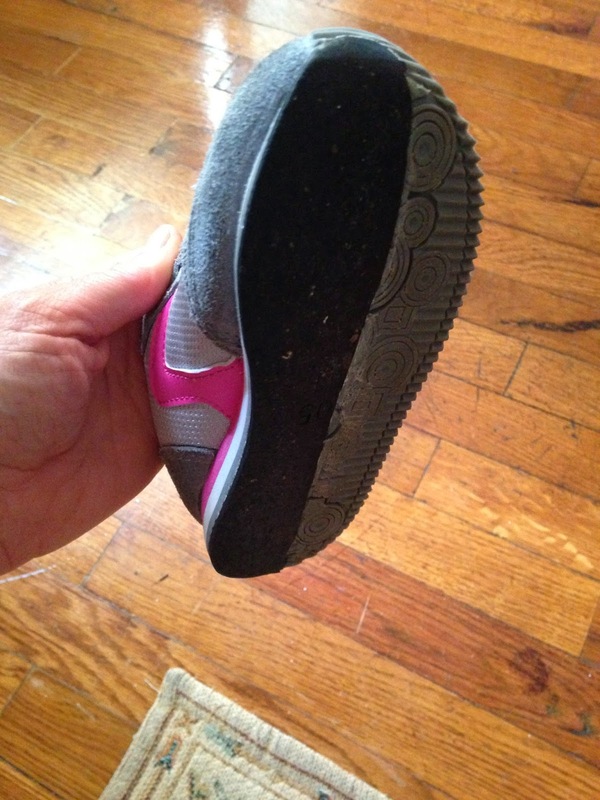 Presley needed to have wedges applied to the outside sole of her shoe to counteract the underdeveloped arch which was causing overpronation or rolling inward of her feet. This was recommended instead of orthotic inserts, because inserts provide a "fake arch" and do not allow the arch to continue to develop (unlike a fallen arch on an adult). The wedges, however, provide proper alignment of the feet, ankles, and legs while continuing to allow the arch to strengthen and develop. Our local shoe cobbler said he would like to help our local DS community. The cost is $15 per pair of shoes plus S&H. If you send multiple pairs totaling $60, then they will pay the shipping back to you. The shoes must be real rubber or leather. No plastic shoes. 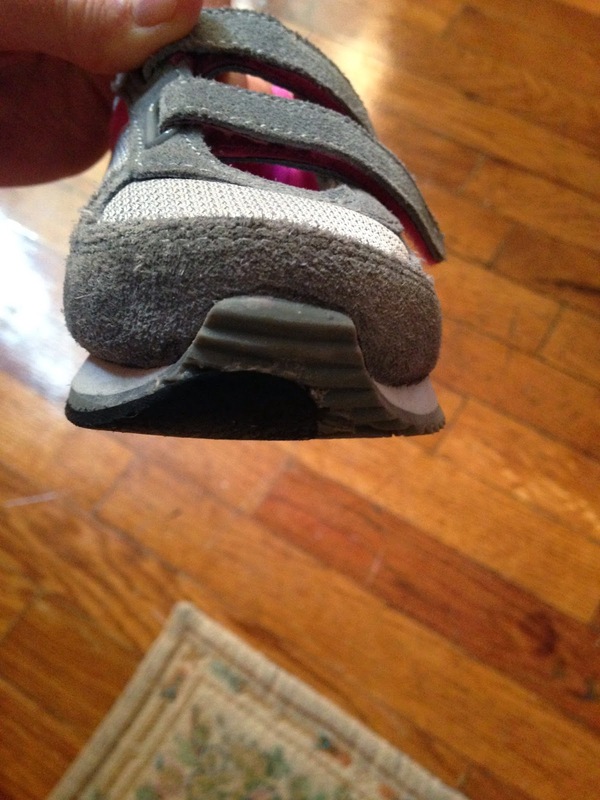 The best shoes have a straight shape on the bottom, like a stability or motion control tennis shoe. I get absolutely nothing from posting about this nice shoe shop. I just know it is sometimes difficult to find a reliable business to work with. I have had three pairs done already, and Tricia has had two. We have had no problems with their workmanship. When we started with NACD we had a consult with Julian Neil, N.D./Ph.D. He gave us some wonderful recipes to add to our daily diet. I have a previous post of his Thermo Cereal that is a staple for all of today. Below you will find another item that we use daily. Emma drinks about 6-8 ounces of this a day. It can be used to make rice or pasta but we prefer drinking. Here is the recipe from Dr. Neil's site. Also add potato peel, okra, green cabbage, green pepper, onion, garlic, spinach and dandelion greens. Now put on stove top and add distilled water. Bring to low boil and simmer for 20 minutes. Strain off broth and freeze in containers. I now have enough glass bottles so we will no longer reuse the plastic jugs, but for this batch I did. Add a tablespoon of Rice Bran Complex after straining to enrich it with B vitamins and silicon. You may also add two or three tablespoons of Dr. Jensen’s “Vegetable Seasoning”. Emma's broth drink has a little apple juice, chicken broth and Thieves essential oils added to it daily. "I decided to make this video to help you, the parent, learn what you can do at home to improve your child's speech clarity and feeding safety. Over the years, I have found that parents can become great assets to their child's speech language pathologist, once they understand why they are being asked to perform certain homework assignments with their child. The exercises shown in this video are presented in a hierarchy of very small steps which will ensure that your child will not only make progress but will have fun doing so. This video is designed to not only show you what you can do to help your child, but also explains to you why you are being asked to use specific straws, horns or bite-tubes. In addition, watching this video will give you the knowledge you need to become a better advocate for your child, whether they receive speech therapy through the public school, early intervention program, clinic, hospital or private practice. Knowledge is a very powerful tool." Increase sensory awareness and normalize tactile sensitivity. Teach more normal movement patterns. Achieve differentiation of oral movements. Enhance feeding skills for better nutritional intake. Improve speech sound production to maximize intelligibility. Click here to purchase through TalkTools. For children with Down syndrome, it is essential to lay the foundation for speech development as early as possible. To achieve the best possible results, the latest research shows that an integrated approach to speech development is most effective, including the combined use of spoken words with sign language and text, paying attention to hearing loss, and addressing intelligibility issues. Now, parents who are looking for information and guidance on their child's speech development have a new resource to rely on. Discovery: Pathways to Better Speech for Children with Down Syndrome, is an 81-minute DVD from Blueberry Shoes Productions, the publisher of Down Syndrome: The First 18 Months. 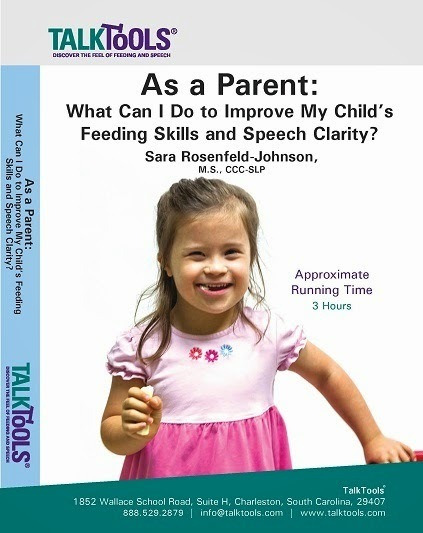 This invaluable resource offers practical advice, examples, and expertise for parents and professionals to follow as they help children with Down syndrome from infancy to age seven become the best talkers they can be. 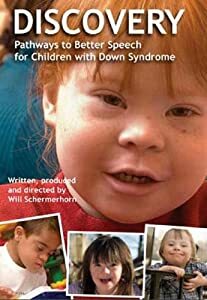 An international group of experts on speech development and Down syndrome appear on the DVD, including Dr. Libby Kumin, Professor Sue Buckley of the Down Syndrome Educational Trust, and physicians Sally Shott and Siegfried Pueschel. These and other experts discuss their methods and explain how to put them into practice. Additionally, the DVD features knowledgeable parents who comment on what techniques and approaches have worked best for their children. And children with Down syndrome also appear throughout the DVD, demonstrating the range of achievement that parents can expect. 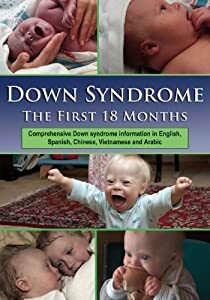 Filled with adorable images of babies with Down syndrome, inspiring stories of parents, and practical information from the leading Down syndrome experts, this video is a reassuring and realistic introduction to the unique joys and challenges that children with Down syndrome bring to their families during critical first 18 to 24 months of life. Will Schermerhorn was inspired to make this DVD after his son with Down syndrome was born and he observed his wife's relentless pursuit of information that would comfort and empower. He interviewed thirteen leading medical and developmental experts on Down syndrome. 108 minutes.